One97 Communications Ltd, the parent of digital wallet Paytm, has raised $1.4 billion (about Rs 9,000 crore) from Japan’s SoftBank Group Corp in the largest funding round from a single investor in India. The funding will help Paytm expand its user base and build a suite of financial services products, the company said in a blog post. Paytm has over 200 million users. As part of the deal, SoftBank will join long-time Chinese partner Alibaba Group as a major shareholder in Paytm and take a seat on the Indian firm’s board. Paytm said it plans to invest about $1.6 billion over the next three to five years to ramp up its financial services business. “As part of this vision, the company will soon launch the Paytm Payments Bank, a mobile-first product that will reach every corner of the nation,” it added. Paytm will launch its payments bank on 23 May as it has received the final licence from the Reserve Bank of India. The valuation of One97 after the funding couldn’t be immediately ascertained. However, media reports had previously said that the SoftBank funding was expected to value the company around $7-9 billion, the second-highest among Indian consumer Internet companies after e-commerce company Flipkart. One97 was valued at $7 billion when early investor Nikhil Vora sold his 0.35% stake to Chinese e-commerce giant Alibaba recently. That’s a substantial jump from the $4.8 billion valuation at the time of Paytm’s fundraise from Taiwanese chipmaker Mediatek in August last year. The mark-up in valuation comes at a time when several Indian consumer Internet companies, such as e-commerce firms Snapdeal and Flipkart, have seen their valuations erode over the past year. Snapdeal, once valued around $6.5 billion, is now said to be in talks to merge with Flipkart at a valuation of $1 billion. Flipkart’s valuation, too, has slid from a peak of $15.2 billion to $11.6 billion. Paytm has benefitted significantly from the government’s move late last year to ban old high-value bank notes as part of efforts to combat corruption, discourage cash transactions and boost digital payments. In December 2016, a month after the banknote ban, Noida-based One97 said it would merge its digital wallet business with its payments bank. Earlier, in August last year, it had created two entities—Paytm E-Commerce Pvt. Ltd and Paytm Payments Bank Ltd—to run its e-commerce and financial services businesses, respectively. 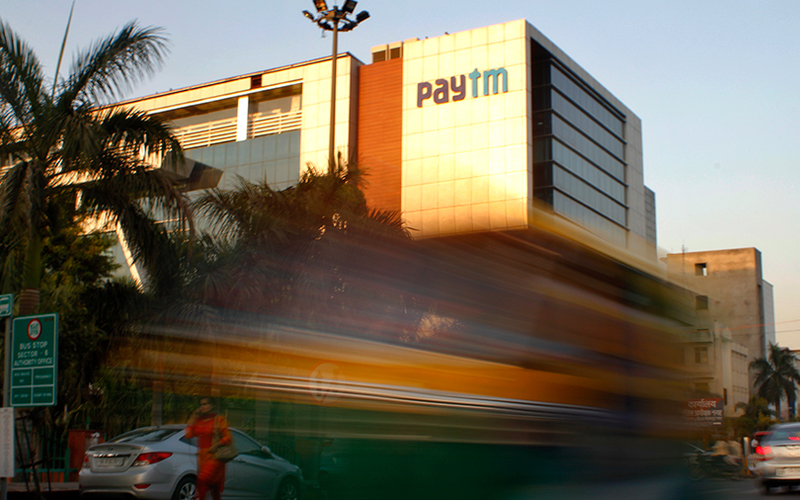 Paytm E-commerce raised $200 million from Alibaba and existing investor SAIF Partners in March. The investment increased the stake of Alibaba and its affiliate Ant Financial (the parent of Alipay) in Paytm E-Commerce from 40% to 62%. Meanwhile, Japanese telecom and Internet conglomerate SoftBank has invested a little over $3 billion in India, excluding this round in Paytm. Its other portfolio companies in the country include Snapdeal, cab-hailing app Ola, hotel rooms aggregator Oyo, messaging app Hike and mobile advertising firm InMobi. Although its investments in the country have failed to yield the desired returns, it remains bullish on the country. SoftBank chairman Masayoshi Son has committed to invest up to $10 billion in the country. SoftBank is also orchestrating a merger between Flipkart and Snapdeal, which would be the biggest-ever in the Indian e-commerce sector. The deal is in its final stages. SoftBank could also be orchestrating a deal between Paytm and FreeCharge, the digital wallet arm of Snapdeal.